What exactly is a California split? A California split is used either when a class is very large (usually over 25 horses) or in a combined division like the junior hunters. 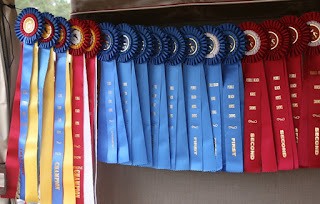 A judge typically keeps a "stagger" or a ranking of the top 8 ribbon winners as a class goes on. How else is a big class split? Another way to split a class of 50 low hunters is when the 25th horse goes in the first class of two back-to-back classes, the judge pins both the classes. (The second class will usually only have 15-20 that have gone since some riders choose to only do one class.) This is often called a Casual Split. Apparently not from California! The California split is an East Coast thing. And after asking many people who have been around the industry as judges and horse show managers for years, it's unclear where the name comes from. These is some sense that it originated at WEF with large classes in the juniors. One judge remembered when a junior hunter class was judged by one judge as the first class of the division and the same class judged by a second judge as the Maclay, and that this situation was for some reason called a California split. How do judges feel about it? 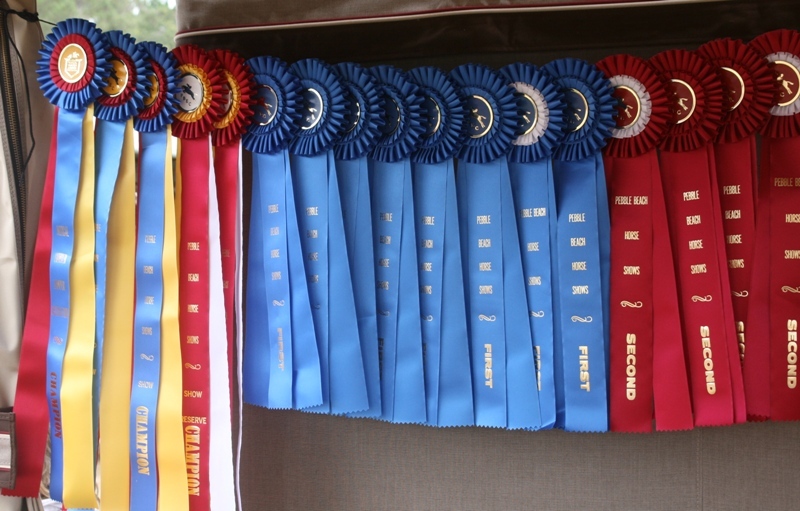 Some judges don't like California splits because it means keeping track of 16 ribbon winners, which can be unwieldy and exhausting. Usually in a large class after you have your top 8 ribbon winners ranked, you only need to work in the rounds that are good enough to fall into that top group. With a California split, you have to work in any round that would place in the top 16 in the class. However, other judges prefer the California split to a Casual Split because it can mean the best rounds get rewarded. In a casual split, the strength of each division is more or less random. Division A might have better rounds than Division B for whatever reason. In that case, a horse that wins Division B might not be nearly as good as the horse that wins Division A. With a California Split, the best horses and rounds in the class are rewarded accordingly. Kim Ablon Whitney is an 'R' judge and the author of the Show Circuit Series.